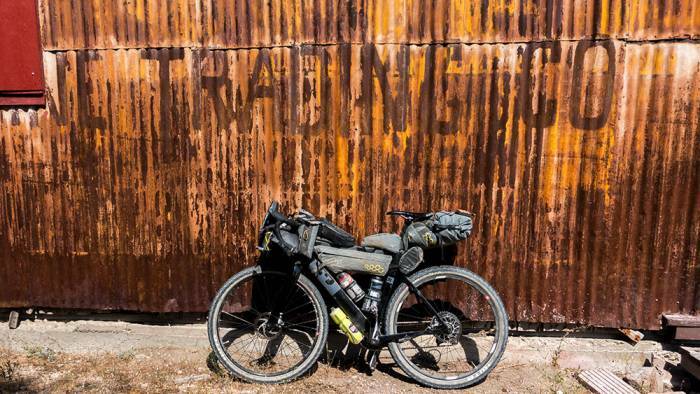 Preparation can get you to the start line, but a 400-mile bikepack race is far from in the bag. Here are the lessons learned from the school of bikepack ultraracing. I line up at the start with 50 new friends, our cumulative lights boring a white hole down the empty neighborhood street. We hold a moment of silence for one of our own, Jason Delgadillo, a friend of the race who passed from a fatal mountain bike accident last May. And then, with his spirit, we sail out of town and onto the fifth running of the Smoke ‘n’ Fire 400. The leader rockets out of town and will eventually defeat the self-supported 420-mile course in 46 hours. I’m on a different agenda: I’ve come to experience the race, dabble with sleep deprivation, test my skills, and, above all, simply cross the finish line. 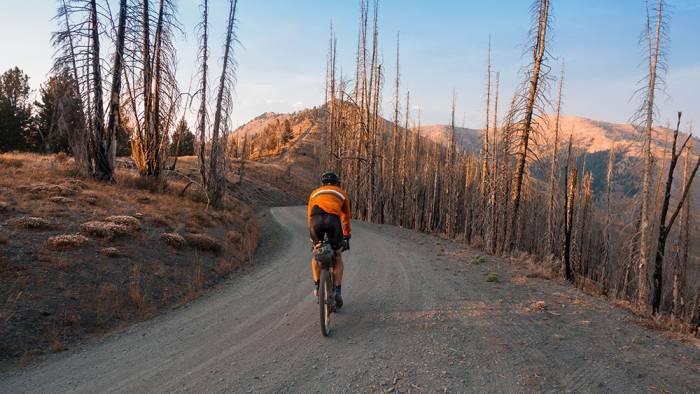 Recently, GearJunkie has shared advice from the pros on training, kit, and mechanicals for participating in a bikepack race. But like anything worthwhile in life, you can only learn so much before you have to put the book down. And that’s when the education gets real. 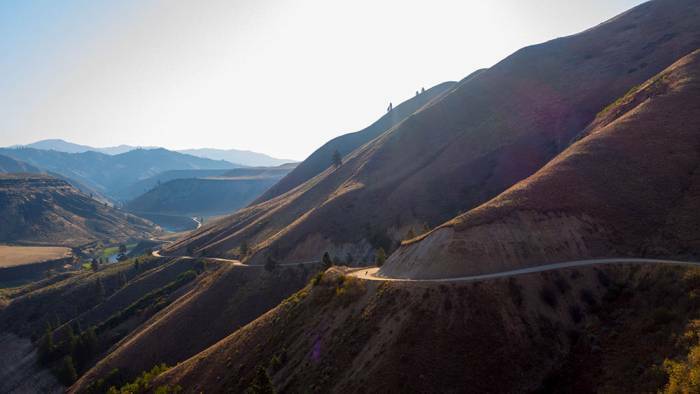 Here are some of the highlights of what I learned after pedaling three days in the saddle. 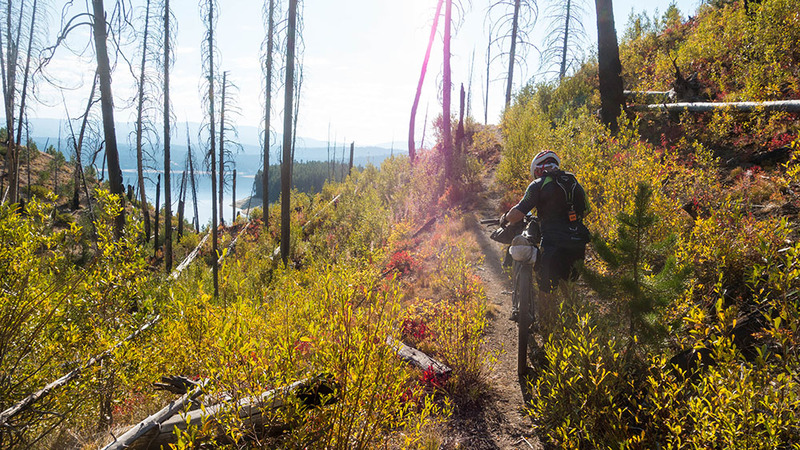 Bikepack racing is a self-supported, timed event. No sag wagons, no caches; you’re on your own. Because 400 miles of food and water is more than you can carry on the bike, you gotta toe up to the line with an informed plan for where to resupply, get water, nap, or bail if you need to. Getting intimate with the route can help gestate that plan and allow you to make smart choices while on the course. Case Study 1: The SnF 400 brought us down gravel, doubletrack, premier singletrack, and the occasional hike-a-bike. Riding gravel through the night made a lot of make sense. The margins were generous, but every once in a while we’d follow a mystery trail that looked like it was marked by a dragged corpse. Rather than wrestling with the Sisyphean task of a 10-mile bushwhack in the dark, I planned to hit these obtuse sections during the daylight. It was still a little slice of hell, just not a cold, dark corner of hell. 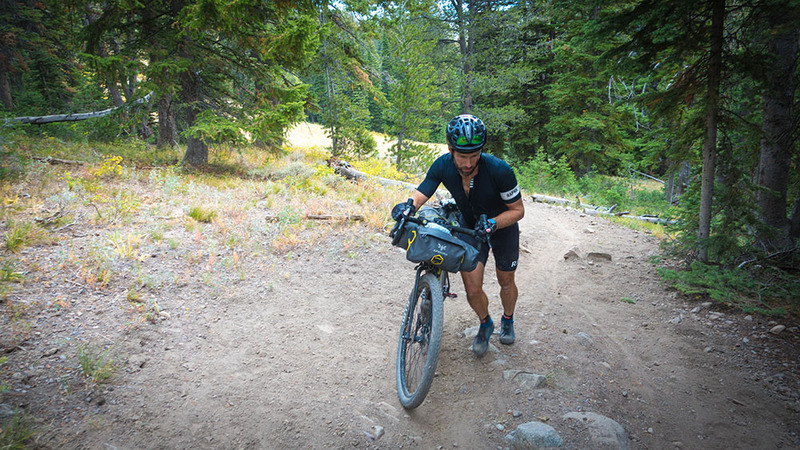 Bikepack racing is about the loooong game. It’s not won or lost in an hour’s effort. Use the first 24 hours to settle in and take the time to meet the other riders. They may pass you, or you may pass them. But this time in the saddle will help you settle into race pace. And you can learn a lot from chatting up other riders: food secrets, trail beta, war stories, etc. While the event is tackled solo, bikepack racing is a community of cyclists who support each other while on the route. Case Study 2: Let me introduce you to Tony. He’s an orthopedic surgeon who knows how to fly jets and helicopters. He’s got a black belt, participated in Kona at the age of 17 — you know, your average type A++ kind of guy. And he knows a helluva lot about bikepack racing. Coincidentally, our paces matched. We were able to help each other pick the chips up when they were down and pace ourselves through a long night at the end. If you are truly racing, the goal is to cover as much ground as you can in a day. Finding the right pace will help. Gutting it out in the saddle will too. Case Study 3: Jeremy has ridden the SnF 400 “1.5 times.” He said it with precision. Because in a race like this, minding details (like gear, nutrition, and health) gets one across the finish line. Jeremy blew a knee during his first attempt, but he crushed the race the following year. His biggest takeaway? 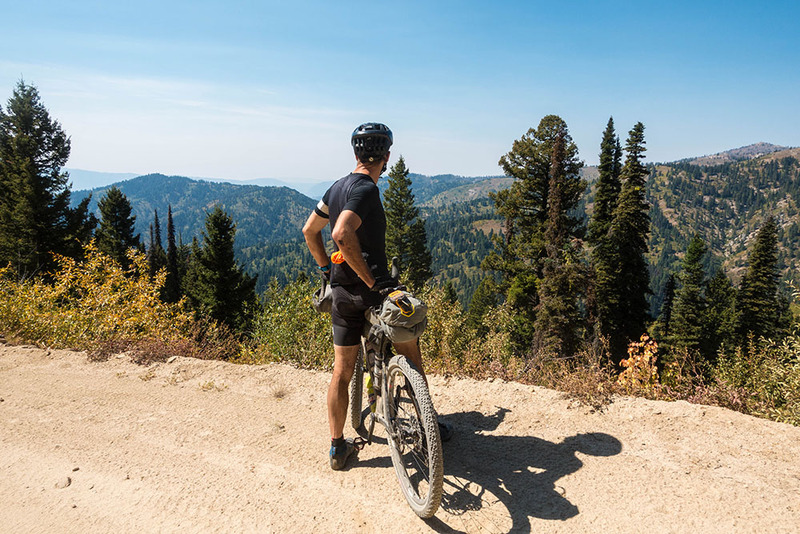 “Keep moving … until you can’t.” Go until you’re too exhausted to keep the bike upright. That way you’re maximizing your moving time and you’ll be certain to sleep once you lay the bike down. Minding the details includes staying on top of food and water. Overlooking nutrition is a slippery slope that can put you in a sand trap too steep to climb out of. Case Study 4: During a 130-mile training ride, I completely blew up approximately 20 miles from home. I found myself face up on a fire road, looking up at the evening sky, watching the stars begin to pop. My gut was rotten, and my legs were completely seized by cramps. I couldn’t walk 20 feet without tossing up bile. I knew I needed to adjust my nutrition strategy. After speaking extensively with Jennifer Vierling at Tailwind Nutrition and ultracyclist Neil Beltchenko, I decided to drink my calories. At least for part of the race. I followed a strict regimen of 26 ounces of Tailwind per hour (for three hours), followed by a homemade PBJ rice bar sandwich chased with water (for the fourth hour). The cycle was so easy, staved off hunger, and also bricked my day into four-hour blocks of time. Listen to your body and be flexible if your plan isn’t quite working. Case Study 5: In spite of my rigorous attention to my nutrition plan, I still ended the first day in a gut funk. It was likely due to the heat. The massive climb at mile 130 didn’t help either. I bought a burger and fries at a local Ketchum bar. Too sick to eat it, I brought it back to camp and had it as a late-night snack and went back to bed feeling full and satisfied. The rest of the trip, I followed monk-like discipline while in the saddle but had a bachelor-like diet out of the saddle. It wasn’t pure, but it worked for me. Go in with a plan, but be open-minded enough to listen to what’s working or not. The body is a miraculous, highly adaptable machine. Feed it, water it, and give it some rest, and it can rally to see another day. 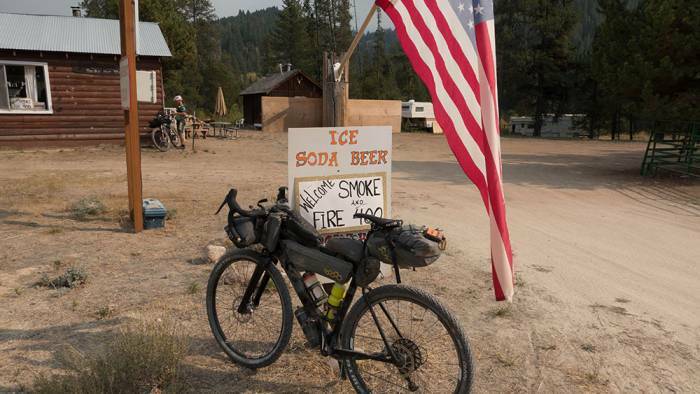 Case Study 6: While I would have liked to push another 30 “easy” miles that first night, my body wasn’t having any of it. While walking my bike through town, a voice called out from the shadows. A guy walking his dog saw my SPOT device blinking off the tail of my bike and immediately recognized I was racing the SnF. Having raced the Arizona 300 himself last spring, he also knew what I was looking for: a place to rest for the night. He graciously put me up on his porch. Those six hours of sleep were more restful than the night before in my own bed at home. I got out early the next morning and had a strong second day. Bikepack racing isn’t about showing off your weekend club kit. Racing is akin to alpine-style climbing. You want a fast-and-light layer while on the move, but also want a fat, warm layer to throw over the kit during breaks. Case Study 7: Sleeping kits are among the most scrutinized part of a race kit. Too much bag can be bulky and overkill, but you’ll freeze if you go too light. I ended up packing a down anorak purely for flexibility. I knew it wouldn’t be as warm as a bag, so I chose to sleep high up out of the cooler valleys for a few extra degrees of security. Bringing an anorak also allowed me to get out of bed and ride immediately warm, reducing the cool morning shock. I paired the jacket with a half-quilt from Nunatak and tossed some heat packs in the socks. I squeezed every ounce of it for warmth. Many races provide cue sheets. I brought them, but I wouldn’t want to solely race off of the sheets. Reading turn-by-turn directions doesn’t play well with sleep deprivation. Fortunately, most races also offer a GPX file that you can load into your device, forecasting every next fork. This is a huge moral lift. Most have a running life of under 15 hours, so be sure to bring extra batteries or a power supply. 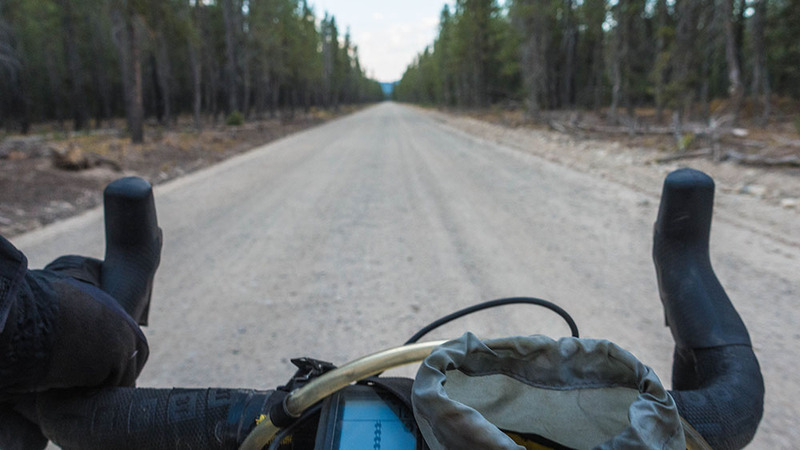 Case Study 8: While phones can do the job, bikepacking is rough on gear. I kept the phone tucked in the back pocket on airplane mode and lashed a waterproof and shockproof Wahoo ELEMNT to the bars. The Wahoo gave me all the vital stats: miles completed, grade, a profile of the climb, and the route and surrounding trails. It can also run while charging, ensuring I could go beyond the 15-hour battery life. Just be sure to pay attention. Getting back on course is twice as much work as paying attention to the right course. 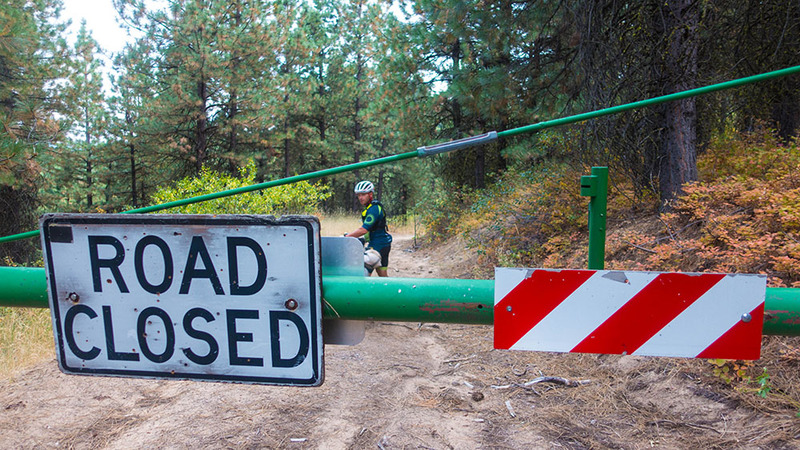 Bikepack courses don’t always take the shortest route between A and B. 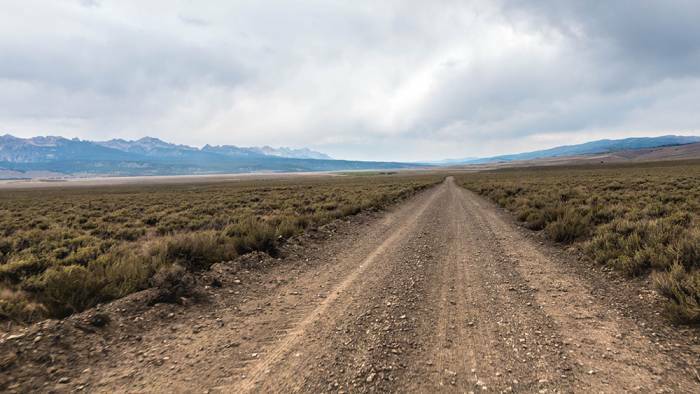 Some bushwhack sections required an hour to push a mile while a perfectly good gravel road ran within earshot. Other sections seemed to fold infinity loops above the next destination. Don’t get caught up in the course. Instead, wrap your mind around the progress made. Case Study 9: Some of the most taxing miles were the last 60. The area was familiar, the cattle-call home was real. For kicks, the race director doubled the distance home by folding the course over itself along abandoned mining roads above home. It was tempting to get caught in the deteriorating rut of “Why are we doing this?” Instead, I focused on the bigger picture. The miles were tedious, but they were sometimes easy miles and counted against the final mile count. The bike is the most scrutinized piece of bikepack race kit. But this is also a highly personal choice. Some chose to ride rigid mountain bikes. Others squished out the 400 miles on full suspension. Most were running a tight(ish), 32-tooth chainring 1x. I brought a pure gravel bike laced with 650b tires. I found the Exploro moved swiftly on the long stretches of gravel and was light enough to hoist up steep hike-a-bike pitches. The 2.1-inch tires offered enough plush for the rougher singletrack. Case Study 10: Does the rider make the bike, or does the bike make the rider? While I’m a capable cyclist, I’m far from a downhill mountain biker. I didn’t grow up at the terrain park; most of my riding has been learned in the last 10 years of adult midlife, with a lazy kinesthetic response. So I’d wager to say a good-fitting bike makes the rider. The Exploro just fits me. I was able to hang with mountain bikers on some pretty hairy singletrack, raising several eyebrows after the descent. Above all, get a comfortable bike that fits you well. 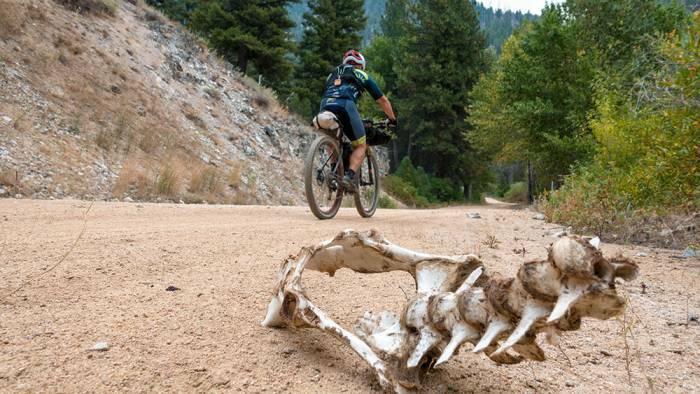 It’s the one partner you absolutely need to depend on during a bikepack race.